Since we’ve now been living with the global warming story for 30 years, it might seem hard to believe that science could now come up with anything that would enable us to see that story in a wholly new light. 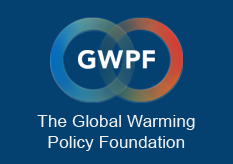 But that is what I am suggesting in a new paper, just published in the UK by the Global Warming Policy Foundation, thanks to a book called Groupthink, written more than 40 years ago by a professor of psychology at Yale, Irving Janis. In November that year two of these fervent believers in what they called “human-induced climate change” were authorised to set up the UN’s Intergovernmental Panel on Climate Change, the IPCC. This would report to the world’s politicians on the basis of computer models programmed, according to their theory, to predict just how fast the world was likely to heat up over the next 100 years. In fact right from the start, many scientists, like the eminent physicist Richard Lindzen of MIT, were highly sceptical, both of the theory itself and of those computer models. These, as Lindzen wrote, were so narrowly focused on CO2 that they were far too simplistic to allow for all the other natural factors which shape the earth’s climate. Then there was the spate of scandals surrounding the IPCC itself, when it was revealed some of the scariest predictions of its latest report had not been based on proper science at all, but only on more hysterical claims by climate activists. Every nation had been asked in advance to submit its energy plans for the years up to 2030. The West, led by President Obama and the EU, dutifully pledged that it would be cutting its “carbon emissions” by up to 40 per cent. But from the rest of the world a totally different story emerged. China, by now the world’s largest CO2 emitter, was planning to build so many new coal-fired power stations that by 2030 its emissions would have doubled. India, the third largest emitter, was planning to triple them. Altogether global emissions by 2030 were set to rise by a staggering 46 per cent. The rest of the world was just giving two fingers to the “consensus”, and planning to carry on regardless, But not one Western leader mentioned this until 2017, when President Trump gave it as his reason for pulling the US out of that meaningless “Paris Accord”.